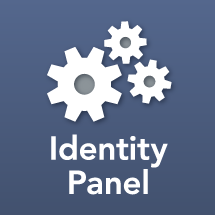 Identity Panel has a set of modules that together constitute MIM ALM Suite (Application Lifecycle Management). One of the key pieces of this solution is the Test and Recovery package. The Test and Recovery package is actually two separate licensed entities that apply to a similar set of product capabilities. In production it runs as Recovery Panel and meets ALM requirements for continuous integration, release management, and software maintenance. In Development and Test it covers requirements management, software testing, and change management. The functionality of Recovery Panel and MIM Test are sufficiently similar that most documentation is SKU agnostic. The following sections describe the key functionality that make up each, as well as what is omitted from the licensed usage. Recovery panel may be used for rolling-back or restoring data, as well as for performing operational bulk updates. It is also possible to definite re-usable bulk updates for regular maintenance or break-fix operations. Test Case – A test case is a special case of an Identity Panel schedule. It runs a sequence of steps to do things like modify data, synchronize MIM, and check results. Test cases may be grouped into suites of related functionality.